비즈니스 및 레저 여행 모두를 충족시킬 수 있는 본 숙소(NH 조우스텐 호텔)는 도시에서 가장 유명한 지역 중 하나인 산니콜라스에 있습니다. 이 곳에서 생동감 넘치는 도시의 많은 것을 최대로 즐길 수 있습니다. YMCA, Bolsa de Comercio de Buenos Aires, Basilica Nuestra Senora de la Merced 등에 가기도 편리합니다. 본 숙소(NH 조우스텐 호텔)의 훌륭한 서비스와 우수한 시설이 잊을 수 없는 여행을 만들어 줍니다. 숙소 편의/부대 시설에는 24시간 룸서비스, Wi-Fi (무료/전 객실), 24시간 프런트 데스크, 장애인용 편의시설, 여행 가방 보관 등이 있습니다. 본 숙소에는 멋스럽게 꾸며진 총 84개의 객실이 있으며, 대부분의 객실에 평면 TV, 거실, 무선 인터넷, 금연 객실, 에어컨 등이 구비되어 있습니다. 본 숙소에서 피트니스센터 등과 같은 멋진 여가 시설/활동을 즐길 수 있어 잊을 수 없는 추억을 만들 수 있습니다. 본 숙소(NH 조우스텐 호텔)의 좋은 위치와 서비스를 충분히 즐겨보세요! 깨끗하지만 좁고 불편한 점이 있었다. 하지만 조식은 괜찮은 편이었고, 직원들도 친절한 것은 좋았는데 특히 세탁실 직원들이 영어를 잘 못하는 것을 매우 미안해 하면서 도우려 애쓰는 모습은 괜찮았다. 하지만 영어가 좀 안되는 것은 아쉬웠다. The Jousten is great value for money. 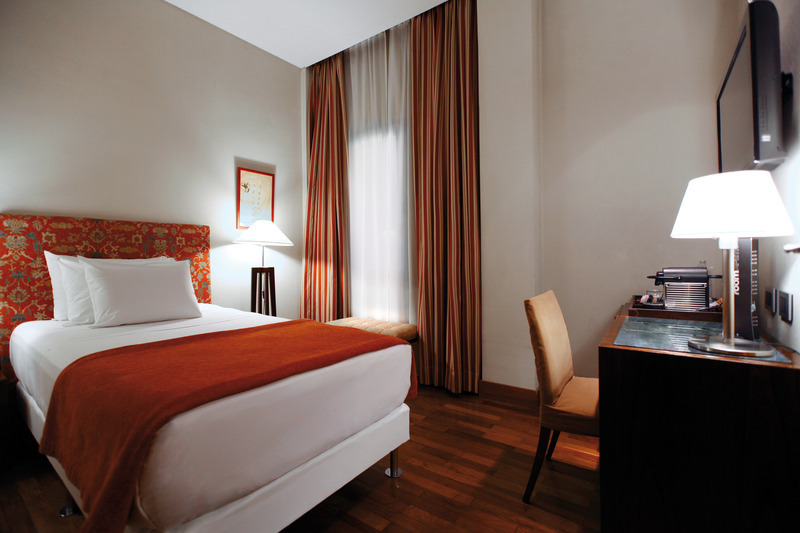 The hotel is very clean, modern and spacious and in a excellent location. The building itself is beautiful and some of the original features have been maintained, such as the pretty tiling in the bar area. The restaurant is on the lower ground floor, where an excellent buffet breakfast is served; at other times an a la carte menu is offered, and the restaurant is noted for its excellent dinners. Staff at the front desk are helpful, service with a smile. 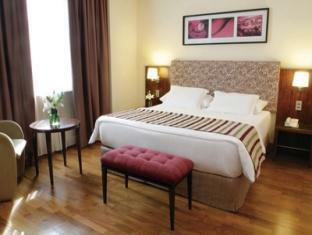 Medium sized hotel located on one of the main streets in Buenos Aires with many theatres. Close to florida shopping area and Luis Borges Cultural Center.The hotel staff is friendly and helpful, checking in and out without problems. Large amount of TV channels to choose from when staying back in the hotel room. Fast WiFi internet available against a small fee. Bathroom with excellent shower, hot water plentifull. Simple but tasty breakfast in the morning, only the coffee requires improvement. Lobby bar with a good selection of beverages. Ubicación, habitaciones confortables y limpias. Internet no funcionaba bien en las habitaciones y el personal no fue capaz de resolverlo. En el lobby o restaurante funcionaba bie. Si no, contento con la estancia.